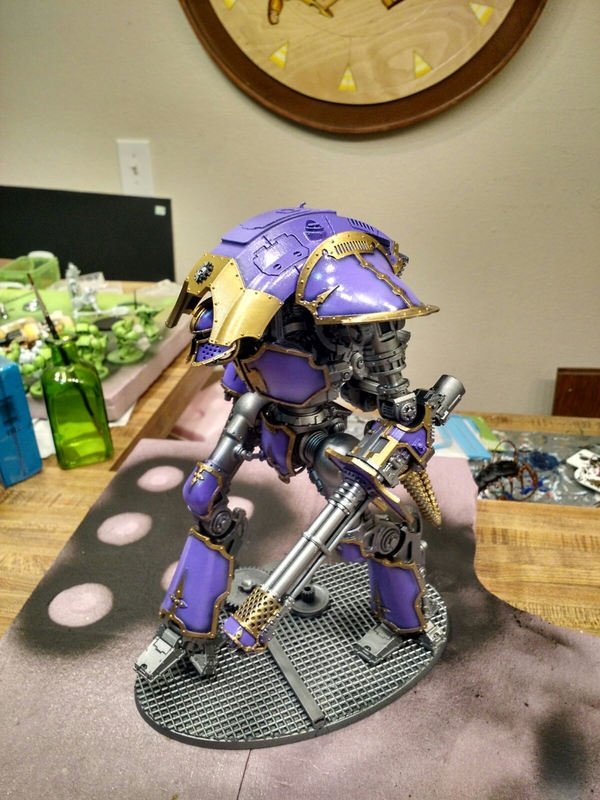 I’ve managed to put the purple down on the knight and have started on the gold trim. I’m really pleased how it’s coming together. I need to finish the gold up and then go back and cleanup over spray on the metals. Also decide how I want to wash the metals and I’d I want to add a third metal color accent or not.